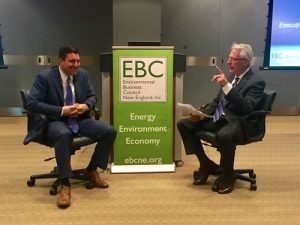 John Shea moderated the October 3, 2017 EBC Program Series with MassDEP Leadership: Commissioner Martin Suuberg and the Southeast Region Leadership. 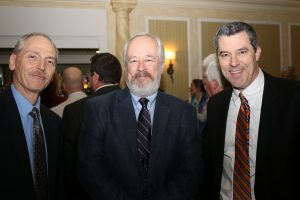 The Commissioner was frank and affable in his keynote remarks, sharing MassDEP’s noteworthy achievements, top priorities, and the challenges from recent retirements and federal budget cuts. Using “A Day in the Life” motif, the SERO leadership showcased the breadth, depth and volume of its work in numerous programs, amazing success stories, and ambitious projects on the horizon. A large audience of environmental professionals enjoyed insightful and sometimes humorous presentations from Regional Director (RD) Millie Garcia-Serrano, Deputy RD of Water Resources Dave Johnston, Deputy RD of Waste Site Cleanup Gerard Martin, Deputy RD of Air and Waste Maria Pinaud, and Deputy RD of Administration Jennifer Viveiros. Tom Mackie moderated the September 19, 2017 EBC Solid Waste Management Program: Update from the MassDEP Regional Solid Waste Section Chiefs. A standing room only crowd heard about facility permitting, enforcement, changes and developments and top priorities from Greg Cooper, Division Director at the MassDEP Bureau of Air and Waste, and from the four regional Section Chiefs: Mark Fairbrother (NERO), James McQuade (CERO), Mark Dakers (SERO), and Daniel Hall (WERO). There was a lively Q&A session. 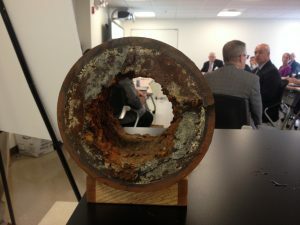 As a member of the Massachusetts Water Works Association (MWWA) Legislative Committee, John reviewed comments in opposition to a Rivers Alliance Petition to condition water withdrawal registrations (which MassDEP denied), to EPA on proposed aluminum limits in water treatment plant discharges in NPDES General Permits, and on proposed legislation for lead in school drinking water. He attended the Summer Expo at Wachusett Mountain. Peter Durning, as co-chair of the Boston Bar Association Energy and Environmental Section, is overseeing the development of robust and interesting education programs for 2017-2018, including a presentation by former EPA Administrator Gina McCarthy. Tom undertook a family pilgrimage to ancestral lands in Ireland and Scotland. Peter enjoyed a family vacation in Seattle and on the shores of the frigid Pacific. 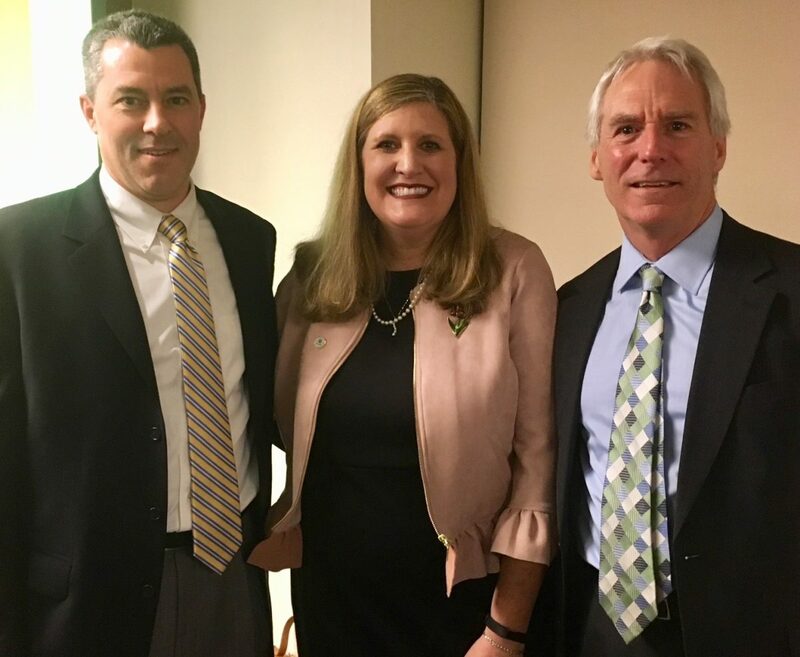 Tom, Peter, and Gail attended the Boston Bar Association Annual Meeting in October. 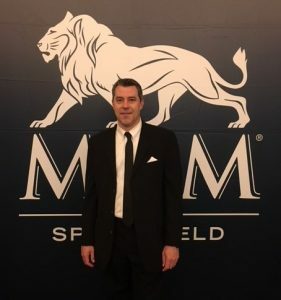 Alum Carson M. Shea, Esq. is a litigation associate at Cornell & Gollub, was sworn into the RI Bar, and co-authored an article in the Professional Liability Defense Quarterly (v. 9, #3). The law firm enjoyed a summer celebration at Pier 6 in Charlestown arranged by Denise Green. The year is off to a busy start! Along with transactional, permitting, and litigation successes for our clients, we have been involved in a variety of activities with and for the environmental bar. 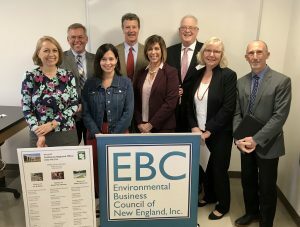 In June, Tom Mackie was named the Chairman of the Board of the Environmental Business Council of New England (EBC). This was in recognition of the time and energy Tom has dedicated to the promotion of collaboration on environmental issues through the EBC. In addition to serving as a board member, Tom was very active in several EBC programs this year, including a thought provoking presentation on the regulation of construction and demolition waste to energy facilities during the C&D Summit in January. 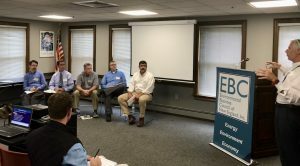 In addition to participating in EBC programs on anaerobic digestion and recycling initiatives, Tom was a panelist during a program with the Secretary of Energy and Environmental Affairs, Matthew Beaton, and a moderator for a presentation by MassDEP Commissioner Marty Suuberg. Finally, Tom revised his Solid Waste Law and Regulation chapter in MCLE’s Environmental Law treatise. 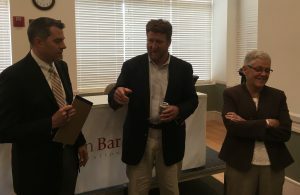 In May 2016, John Shea was a co-presenter at a Half-Moon Bay program on Wetlands Law and Compliance along with wetlands scientist, Matt Schweisberg. John also completed a comprehensive revision of his Hazardous Waste Cleanup Law chapter in MCLE’s Environmental Law treatise that will be out at the end of the year. John recently served as a hearing office for the Taunton Board of Health for two solid waste facility site assignments. Peter Durning has been named a co-chair of the Environmental Section of the Boston Bar Association for the 2016-2017 term. 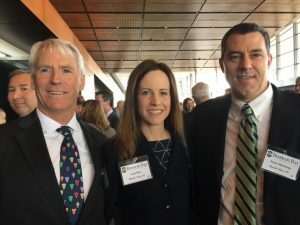 In May, Peter was a co-presenter with the current Section Co-Chairs, Bob Fitzgerald of WilmerHale and John Beling of MassDEP in a “Fundamentals” program for new lawyers discussing environmental permits and appeals. Peter also moderated a program on whether Boston should elect to participate in the Community Preservation Act, M.G.L. c. 44B. Noreen Ruggiero continues to spear head the firm’s efforts with the New England Center for Homeless Vets and the Jimmy Fund. 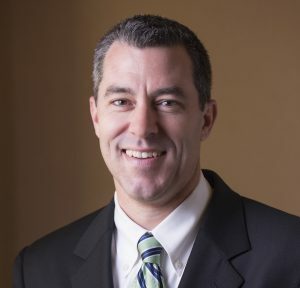 Peter Durning has become a shareholder of the firm and is looking forward to his continued participation in the firm’s success and growth, his recent string of litigation victories and honing his legal skills in the water and wastewater sector. Peter Durning deserves congratulations for his excellent work on the Planning Committees for the Boston Bar Association Annual Meeting Luncheon and for the Boston Bar Foundation John and Abigail Adams Ball. The firm was a sponsor of the Annual Meeting Lunch at which Governor Baker addressed the opioid crisis, funding the courts, and the visiting Medal of Honor recipients. 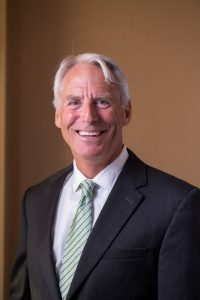 Tom Mackie has been elected to the Board of Directors of the Virginia Thurston Healing Garden in Harvard, Massachusetts and participated in organizing and riding in its First Annual Ride To Thrive Fundraiser. Despite a spill and visit to the emergency room, Tom is back on the bike. Tom Mackie has been chosen to chair the Environmental Business Council’s Winter Garden Party on December 2, 2016. Tom Mackie and Peter Durning co-authored an article on Restoring the Promise of the Permit Session published in Massachusetts Lawyers Weekly. 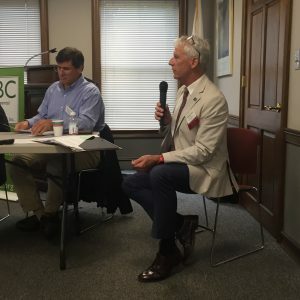 Tom Mackie moderated the EBC Program Series with MassDEP Commissioner Suuberg and the Southeast Regional Office Leadership on July 15, 2015 at the offices of Brown & Caldwell in Middleboro. John Shea worked with the Massachusetts Water Works Association Legislative Committee to submit Comments on the Regulatory Review under Executive Order 562 to Commissioner Suuberg on changes to the drinking water regulations, the SWMI regulations and surface water quality standards; and to Secretary Beaton on streamlining MEPA review for expanded water withdrawals, revisions to interbasin transfer regulations, and revising water conservation standards.